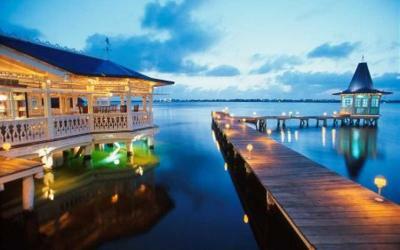 Mexico offers tourists an exceptional array of appeal. It is a nation defined for its diverse ways — and its impeccable range of landscapes, enticing resorts and spas and picture-perfect white beaches and crystal waters. While the impeccable views of Cancun, Guadalajara, Mexico City, and Tabasco enliven the spirits of many, the country is fulfilling dreams in another way — health tourism. Last year alone, more than 50,000 Americans crossed borders into Mexico for cosmetic dentistry. And while Mexico is famed for its affordable weight loss surgeries and its stunning cosmetic surgery results, it is also gaining influence in fertility tourism. The International Joint Commission accredited 7 hospitals in Mexico. In turn, the Federal Ministry of Health has provided certification for 105 hospitals, 98 of which are equivalent to international standards. Highly qualified doctors provide progressive healthcare options through an extensive infrastructure with pioneering medical technology. Bariatric surgeon, Dr. Philip Gachassin, recently stated, “With the passing of the Affordable Care Act and the fact that rates continue to increase and there was not a lot in that law that reduced the cost of health care, so I think individuals are going to start looking abroad. They're going to start looking for it's coming out of my pocket and I need to save money." What are the cost savings in Mexico? Patients crossing borders are saving nearly 70 percent in some cases depending on the selected procedure — which has proven to be a focal factor behind medical tourism in Mexico. Destinations like Mexico and Thailand have been fused in the race for international healthcare dollars by competing nations and businesses representing all corners of the globe — from Puerto Rico to Poland and the United States to the United Arab Emirates. Today, patients have medical information right at their fingertips — and can select a medical tourism procedure and destination in minutes. According to the OEDC, the number of medical tourists from the United States has increased from nearly half a million in 2007, to an anticipated estimate of 1.25 million Americans that traveling abroad for medical treatment in 2014. -- Due to its close proximity to the U.S., Mexico has become a top medical tourism destination with 40,000 to 80,000 American seniors alone receiving health care abroad. -- Approximately 2.5 million foreign patients traveled to hospitals in Thailand in 2013. -- Singapore has been a growing medical tourism center in South East Asia with 850,000 medical tourists arriving in 2012. -- Latin America, predominantly Costa Rica and Panama, is fast becoming tourist spots for medical travelers with approximately 40,000 foreign patients seeking healthcare in Costa Rica in 2011. -- After more than doubling in the last 5 years, Malaysia is also becoming a famous destination with 770,134 medical travelers in 2013. -- India has become a medical tourism hot spot, with 166,000 international patients in 2012 coming to the country due to the selection of highly skilled doctors and improved medical infrastructure.